On Monday, the children had an immersive RE day when they learnt all about Hinduism. 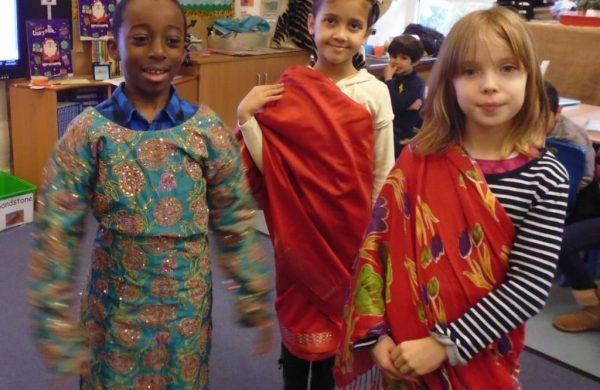 They dressed up in Indian clothing to act out scenes from the Rama and Sita story, they learnt about the Puja ceremony and got to handle artefacts. They also learnt about how their roles in life echo the roles of the Hindu gods.